Recently, a “Frosty the Snow Man” kicked a police dog and assaulted a human police officer in Maryland. This made me wonder how violence towards dogs or other animals on a police force may differ in terms of legal treatment compared with a dog who is a domestic companion of a human. Ohio Code 2921.321 states that “no person shall . . . knowingly cause or attempt to cause physical harm to a police dog or horse in [certain] circumstances.” The circumstances are limited in scope to: (1) when the police dog or horse is assisting a police officer in police duties; or (2) when the dog or horse is not assisting the police, but the perpetrator actually knows the animal is a police dog or horse. The circumstances seem to put an emphasis on not letting perpetrator assault the police by way of the animal and not concentrate on any one animal’s specific wellbeing. 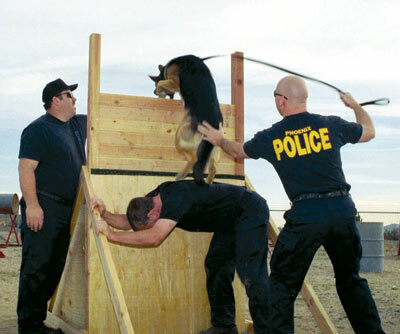 The law goes further to state that police dogs and horses are not to be interfered with in any manner that, “(a) inhibits or restricts the law enforcement officer’s control of the police dog or horse; (b) deprives the law enforcement officer of control of the police dog or horse; (c) releases the police dog or horse from its area of control . . .” It is clear that the main point of the law is to protect the police and police work, with the protection of the animal as a secondary goal. However, the law does prohibit any person from recklessly engaging in any conduct that is likely to cause serious physical injury or death to a police dog or horse. The previous mentioned Ohio Code 2921.321 also prohibits assaults on handicap assistance dogs. Similarly, that law seems to aim more at protecting the humans the dogs assist, than the dogs for the dogs sake. Moreover, Ohio’s laws prohibiting offenses relating to domestic animals also put an emphasis on the animal’s worth as human property. People who violate the above laws knowingly are guilty of assault on police dog (horse), which is a second-degree misdemeanor. While people who violate the prohibition of reckless interference with the animals are deemed to merely harass the animal, which is also a misdemeanor in the second degree. The law further provides that should the animal die or suffer serious harm from the human’s behavior, then the harassment offense is elevated to a third or fourth degree felony respectively. 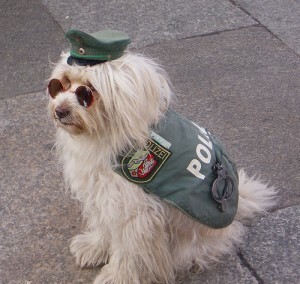 This shows that while there is a great concern for maintaining the police and assistance animals for the security and help that they provide humans, the animals themselves are also of great concern. Comparatively, under Ohio Code 2903.13 assault on humans is a first-degree misdemeanor or higher depending on the circumstances. This does not mean that police dogs are not respected and beloved by their fellow officers. 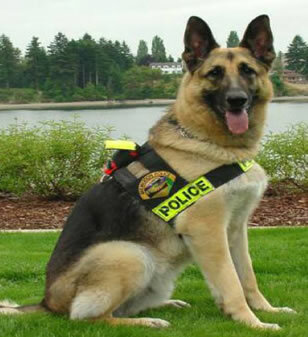 Police dogs wear bulletproof vests (when there are enough funds to provide them) and have been honored in funerals. I find that the above discussed legislation is primarily aimed at protecting the humans who are served by the animals talents and the concern for the animals is an afterthought at worst or at best a secondary goal of the law. Nevertheless, people are prosecuted under such laws eve when human interests sans the injured animal are not affected. Recently, a police officer in Alabama was suspended pending charges for the death of Sassy, his K-9 companion. The police officer allegedly caused the death of his K-9 companion allegedly, but hid that he had done so. Conversely, a police officer who left his K-9 in the back of a hot car resulting in the dog’s death was not prosecuted when the county attorney determined that the police officers actions did not constitute a crime. Unfortunately, it appears that the laws meant to protect police animals only provide protection at a level above the conventional anti-cruelty laws when human interests are at stake and paramount. As long as we consider animals as property, people will find ways to excuse their criminal behavior. Please go to http://www.change.org and sign my petition “Change the status of pets/companion animals from property to furry children”. Thank you. Regarding animals as any short of children would be ludicrous, not to mention, terribly offensive to any parent — especially those who have actually lost a child. That said, we assign a higher penalty to harming a police dog than other dogs for the same reason there are stiffer penalties for vandalizing a police car than other vehicles or for hurting or killing a police officer than other people. A violent assault against the police — or any representation thereof — is a direct assault on the symbolism of law and order in our society. What I find ironic is that by extension of value police dogs are given more protection than other dogs… Yet, if by extension of self preservation – I wish to rescue an imprisoned being destined for the slaughterhouse – I’m subject to being called a terrorist. Our laws are so arbitrary… And so human centered – Shame on us for having so little consistency in who we value and why. It’s so cool how you can use dogs to do things that police officers do, and dogs can do more than what a police officer can do too. They have a great smell capability.